At first it might seem like an unlikely pairing, E Street Band members Max Weinberg and Stevie Van Zandt hosting a tribute to Ol’ Blue Eyes. But as Weinberg said, “Frank made it okay to be from Jersey.” And Van Zandt said Sinatra “made it okay to be Italian.” The duo will be hosting tonight’s Grammy Musuem Gala honoring Frank Sinatra with its Architects of Sound Award at Club Nokia. The event is timed to Sinatra’s 100th Centenary and the museum’s new exhibition, Sinatra: An American Icon. Here Weinberg and Van Zandt talk about Sinatra’s influence on them, their favorites amongst Sinatra’s recordings and the parallels they find between Bruce Springsteen and Sinatra. With so many celebrations of Sinatra’s 100th, what will make the Grammy Museum’s event unique? MW: They are [posthumously] presenting him the Architects of Sound Award. You could solely and specifically be talking about Frank Sinatra as an individual who helped shape the sound of a specific area of music. He not only shaped it but created it and created a template for anyone who followed him. SVZ: I think the answer is artistry. Our focus will be on his point of view, rather than sociology or culture, even though it’s all mixed together. Frank Sinatra Jr. is concerned people will lose sight of the man and focus on the mythology. Is that a concern you are addressing with this show? SVZ: I’ve always felt that, in fact, the art is the most important thing. The art is always better than the man. More long lasting than anything having to do with controversy or the cult of personality. All of that stuff pales and fades in comparison to the art itself. MW: You take away the legend and you are still left with a monumental talent. What a big personality was Frank Sinatra. But he was really a very simple man. The legend is the funny part, as is the legend of anyone who becomes a presence in your life and public life. He was larger than life. If one were to follow one of the Springsteen game plans and pick one album of Sinatra’s to hear performed live from start to finish, which album would you choose? MW: For someone who invented the concert album, it’s difficult. I’d pick Only the Lonely. I think that would be perfect. SVZ: Oh wow. Wow. Wow. I’ve never thought about that before. That’s a tough one. I’m torn between Songs for Swinging Lovers and In the Wee Small Hours. I think Songs for Swinging Lovers. That has “I’ve Got You Under My Skin.” That’s just incredible. 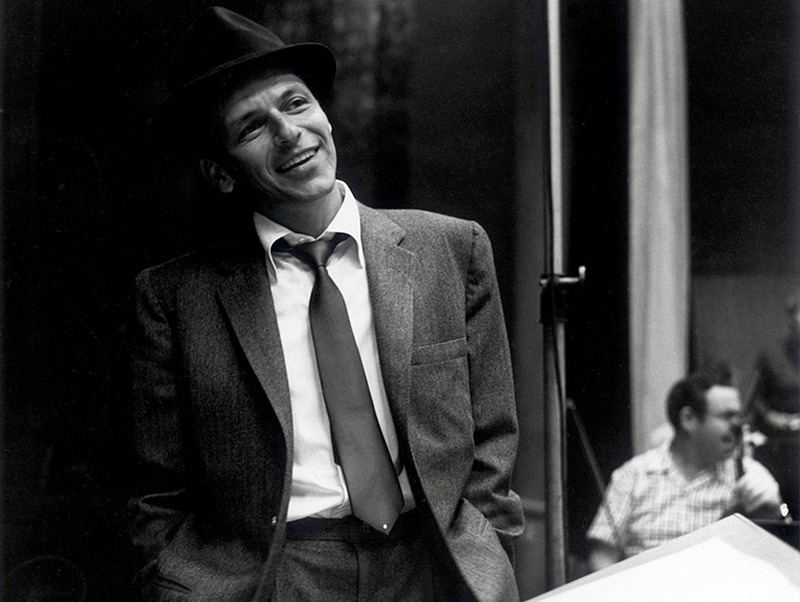 Did Sinatra continue to be a role model for you as you embarked on your careers in music? SVZ: I’m a band guy. The Rat Pack was my favorite thing—the fact that he had these friends and they were all talented and they hung out together. The friendship, the camaraderie, the posse, the clubs—that’s something I’ve always been attracted to. I love that. MW: I saw him in 1981 and two other times. All of his music is honest. That’s the hallmark of everything he did. Prior to Sinatra lyrics were lyrics. Sinatra made them emotional. When he sings they aren’t his emotions, they are our emotions. Do either of you find parallels between Frank Sinatra and Bruce Springsteen, beyond the fact that both of them are from New Jersey? MW: They both had great drummers! (Laughs). I love talking about Bruce and Frank. Frank is no Bruce and Bruce is no Frank. In their chosen fields they made equal impact. I know that Bruce and Sinatra were certainly in touch in the last few years before Frank’s passing. I would love to have been a fly on the wall for those meetings. Bruce is a fabulous interpreter of others’ material, and that’s what Sinatra did. Not everybody can do that and pull it off. When you are younger you imitate; you integrate and you internalize influences and they come out as you. If you are lucky, you become an original. Certainly Frank Sinatra was an original. Bruce Springsteen is quite an original. SVZ: That’s easy. They did it their way.